My first screening of Rosemary's Baby occurred for odd reasons. Back in 1991, a major retailer ran a movie trivia contest packed with a long roster of obscure questions. These days the Internet would allow me to find the desired details, but back then the task required lots of serious research. Since the reward seemed terrific - a big-screen TV and a top-of-the-line laserdisc player - and since I had little else to do during the summer before grad school started, I jumped into this activity with zeal. One of the questions related to a famous horror movie that used Beethoven's "Fur Elise" as a motif. From the phrasing of the query, I thought it was likely Rosemary's Baby, but to be sure, I rented the movie and watched it. Yes, it was the one in question - there's one correct answer! Unfortunately, I either slipped up along the way or lost a tie-breaker to someone else, because I didn't get the grand prize. Well, it was fun to play movie detective for a while anyway. I wish I could relate that I liked Rosemary's Baby in 1991, but I found the experience dull at best; I didn't understand the enduring appeal of the film. However, since I know my opinions aren't written in stone, I decided to give Baby another shot. With additional examination, I've had a change of heart about Rosemary's Baby, which I thought offered a pretty solid little film. Director Roman Polanski creates a creepy and unnerving atmosphere in which this quiet but effective psychological thriller thrives. The movie follows Rosemary (Mia Farrow) and Guy (John Cassavetes) Woodhouse, a young married couple who move into a Manhattan apartment house with a sinister history. Soon after they arrive, some nasty events occur but things generally seem good. They make friends with the Minnie (Ruth Gordon) and Roman (Sidney Blackmer) Castevet, the nosy old couple next door, and Rosemary finds that she's pregnant with her first child. Things don’t stay quite so rosy for Rosemary, however, as she experiences a great deal of pain during her pregnancy. Complications ensue, and she slowly becomes suspicious of a variety of circumstances. These continue through and beyond the delivery of her child. And that's all I'll say, as it's best to leave the events of Baby undiscussed. Actually, I'm not sure how surprising the plots twists and turns may be, but I sure wouldn't want them spelled out to me in advance. While the movie works mainly due to its execution, the uncertainty in its story contributes as well. Polanski haf the sense to build the tension slowly and quietly. Perhaps I didn't like Baby in 1991 because it's not a slam-bang horror movie; its chills are more subtle, without any big "scare" moments. In the long run, however, I think it's an effective model, as the flick's insidious nature sticks with you after the film ends; it's one of those pictures that can be hard to dispel from your head. In addition to Polanski's effective pacing, Baby works due to some strong performances. I've never liked Farrow but she provides a nice turn as Rosemary. The character goes through a wide variety of moods and changes throughout the film, and Farrow achieves these effortlessly. In fact, she develops the role so seamlessly that I didn't really recognize these changes until the film ended; Rosemary becomes a very different person by the conclusion but Farrow makes the transition clean and smooth. The supporting cast of Baby also provide sterling work with no weak links. Gordon earned a Best Supporting Actress Oscar as Minnie, but all of the others are equally good. It's a quality group. My only significant complaint about Rosemary's Baby? The ending. 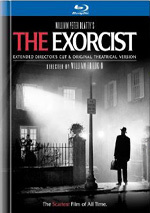 Although the filmmakers apparently think it’s vague - as they mentioned in the original DVD’s supplements - I disagree. I feel the finale spells out far too much and tells us more than we need to know. As such, the movie loses some of its impact through this too-graphic conclusion. Despite that flaw, I like Rosemary's Baby. I don't think it's a brilliant film, but it accomplishes what it sets out to do and does so with flair and strong craftsmanship. Baby set the table for later pictures like The Exorcist and The Omen and it belongs among the best films of that genre. Rosemary’s Baby appears in an aspect ratio of approximately 1.85:1 on this Blu-Ray Disc. This was a quality reproduction of a challenging film. Overall sharpness looked strong. Mild softness appeared throughout the movie, but that was a filmmaking choice; the flick was rarely razor sharp – especially during interiors – due to intentional design, so the image fit the original product. None of this softness distracted, as the picture showed more than adequate clarity. I noticed no signs of jagged edges or moiré effects, and edge haloes failed to appear. I discerned no digital noise reduction; the film came with a satisfying sense of grain. In addition, print flaws were essentially absent. Outside of a couple of small marks during the opening credits, this was a clean presentation. Colors generally appeared nicely accurate and clear, and at times I saw some warm and vibrant hues. This wasn't a film from which I'd expect a lot of lively colors, and much of the movie used a semi-bland palette. However, when bright hues were appropriate, they looked sumptuous. Black levels seemed nicely deep and dark with acceptable contrast, and shadow detail usually appeared pretty clean and concise, although some scenes were a bit dim. As with the mild softness, however, I felt this represented the original photography and didn’t come as a “flaw”. This was a consistently positive presentation. I also felt pleased with the monaural soundtrack of Rosemary's Baby. Dialogue came across as slightly stiff and tinny but it remained clear and intelligible at all times with no signs of edginess. Effects were relatively crisp and clean and showed no distortion. Music seemed lively and brisk; the score even offered some decent bass at times, such as during the scene when Rosemary trotted around New York on her own. I detected no evidence of background noise. The track sounded pretty solid for a 44-year-old mono mix. How did the Blu-ray compare to original DVD from 2000? Audio was a little clearer, though there wasn’t a lot that could be done to improve the decades-old source material. On the other hand, the visuals seemed substantially improved. The Blu-ray was cleaner, more vivid and better defined. Without question, the Blu-ray seemed much more satisfying. Both the DVD and the Blu-ray come with different extras. 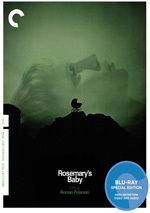 We open with Remembering Rosemary’s Baby, a new documentary that runs 46 minutes, 54 seconds and features comments from former Paramount Head of Production Robert Evans, actor Mia Farrow and director Roman Polanski. We learn about the project’s origins and development, how Polanski came onto the project, the source novel and its adaptation, casting and performances, sets and locations, production/costume design and cinematography, the film’s release and legacy. In theory, it’s disappointing that we only hear from three of the film’s creators. However, “Remembering” does give us three of the most important participants, and since so many of the others involved are now dead, I can’t complain too much about the limited roster. I find it even more difficult to gripe given the high quality of “Remembering”. It packs a lot of meat into its almost 47 minutes and comes with virtually no fluff. We find a deep, frank take on the production here. From a 1997 radio show, we find an Interview with Author Ira Levin. Conducted by Leonard Lopate, this piece goes for 19 minutes, 21 seconds and covers aspects of the original novel and its late 1990s sequel. Though the piece exists to promote Son of Rosemary, it provides a pretty rich exploration of the subjects and proves to be worthwhile. The disc finishes with Komeda, Komeda, a 2012 documentary that focuses on composer Kryzsztof Komeda. It fills one hour, 10 minutes, and 43 seconds and features info from Polanski, Komeda’s sister Irena Orlowska, jazz musicians Jerzy Milian, Jan Byrczek, Michal Urbaniak, Leszek Mozdzer, Wojciech Karolak, Dave Burman, Jan Ptaszyn Wroblewski and Andrezej Idon Wojcieochowski, film historian/author Professor Marek Hendrykowski, classmates Bogdan Nowinka, Jerzy Bargiel, Dr. Zbiniew Cymerys, Professor Antoni Pruszewicz, Kazimierz Radowicz, Henryk Przyborowska, Maria Laskarzewska-Przyborowska, Wojciech Suszycki and Florian Tomaszewski, registrar Elzbieta Marciniak, Jazz Forum editor in chief Pawel Brodowski, film director Edward Etler, album cover designer Roslaw Szaybo, composer Adam Slawinski, and Zofia Komeda’s son Tomasz Lach. As expected, the program gives us a biography of Komeda, as it covers the late composer’s life and career. (He died the year after the release of Baby.) Though it gets a little too artsy at times – with animation and other gimmicks – the documentary nonetheless offers a strong examination of its subject and merits a look. Finally, we get a 28-page booklet. 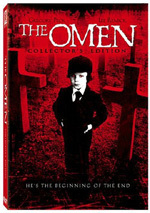 It includes an essay from film writer Ed Park, “Ira Levin on the Origins of Rosemary’s Baby”, and some excerpts from Levin’s notebooks. This becomes yet another fine Criterion booklet. Rosemary's Baby makes for a creepy and effective experience. The movie lacks overt scares but works nicely on a psychological level and is likely to get under your skin. The Blu-ray gives us accurately reproduced picture and audio as well as a small but high-quality roster of supplements. Fans will be very happy with this strong release of a classic film.